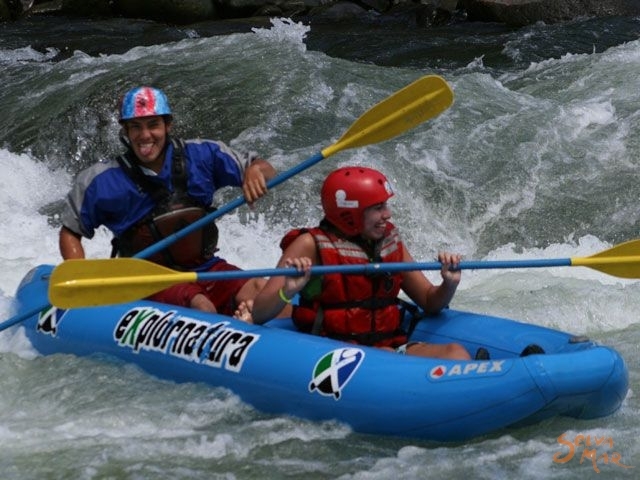 Pacuare River is ranked as one of the top five rivers in the world to white water raft. 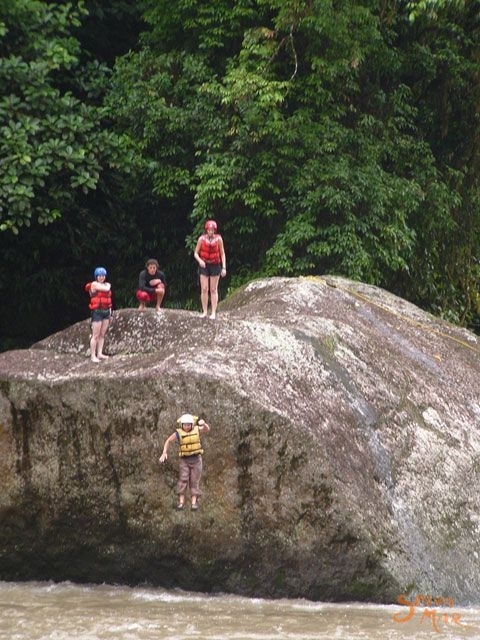 What earns the Pacuare River this acclaim is its 18 miles (28.8 kilometers) of class III and class IV rapids and some of the most breathtaking scenery in Costa Rica. 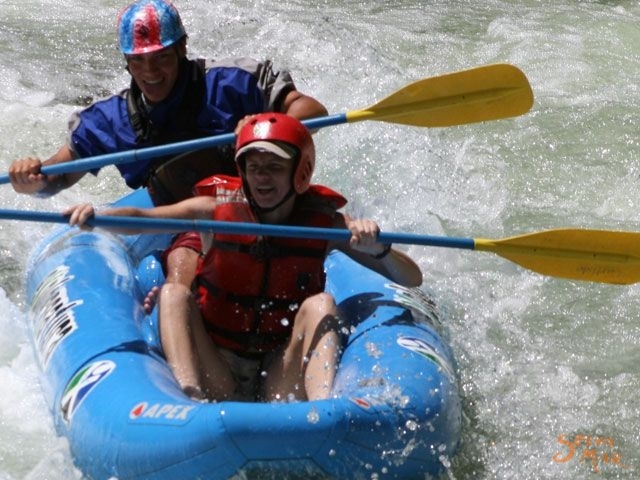 You will enjoy the exciting rapids, as well as the exuberant nature that surrounds the river such as cascading waterfalls and a wide diversity of tropical flora and fauna. 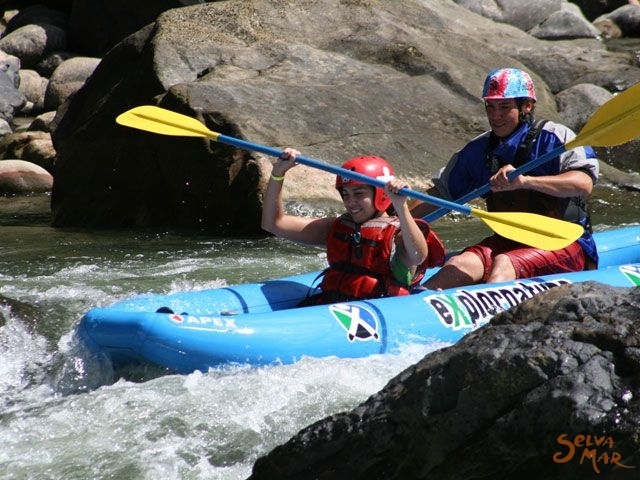 We provide experienced, specialized rafting guides, the best equipment, and a day full of exciting and safe adventures on the Rio Pacuare. 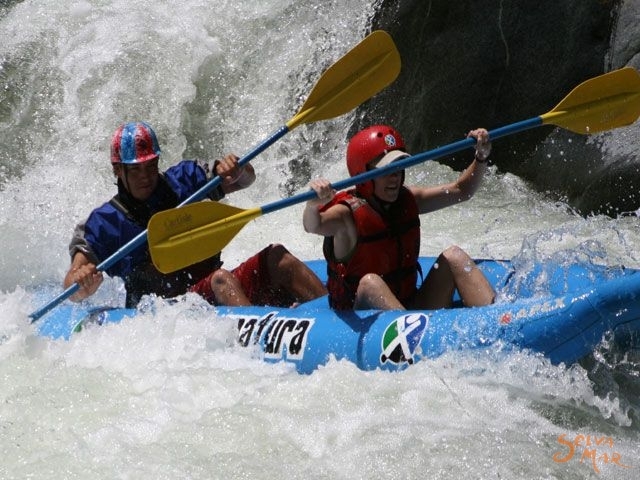 Rafters who choose our two-day trip will have the opportunity to enjoy many different elements that the Rio Pacuare has to offer other than its fantastic rapids and breathtaking flora and fauna. 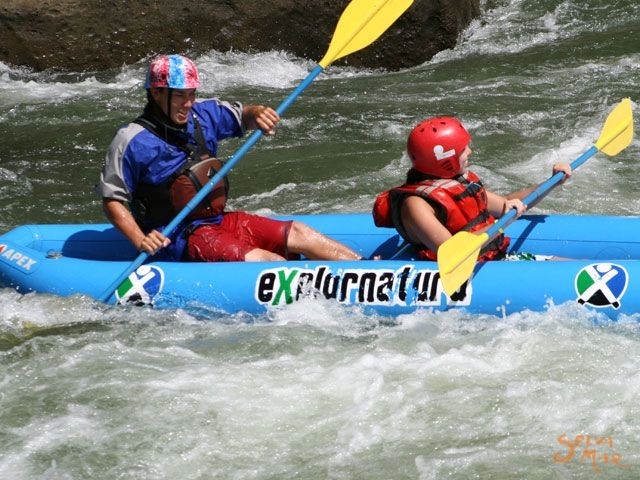 We will provide you with an array of activities that will immerse you in the natural beauty of Costa Rica and you can enjoy more of what this region has to offer - both on and off the river. 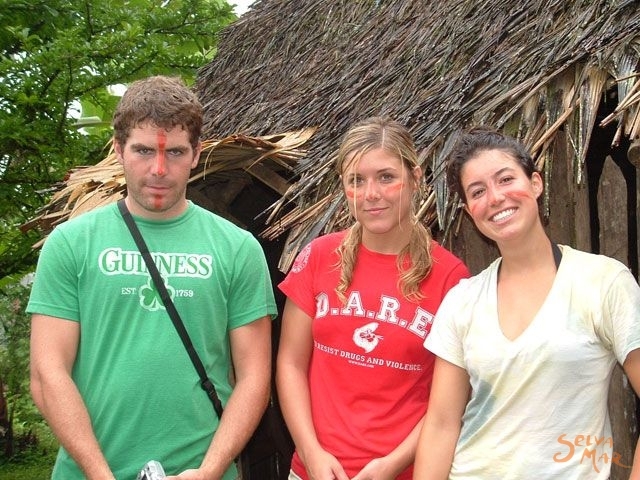 The tour begins near the little town of Tres Equis located one hour east of Turrialba. 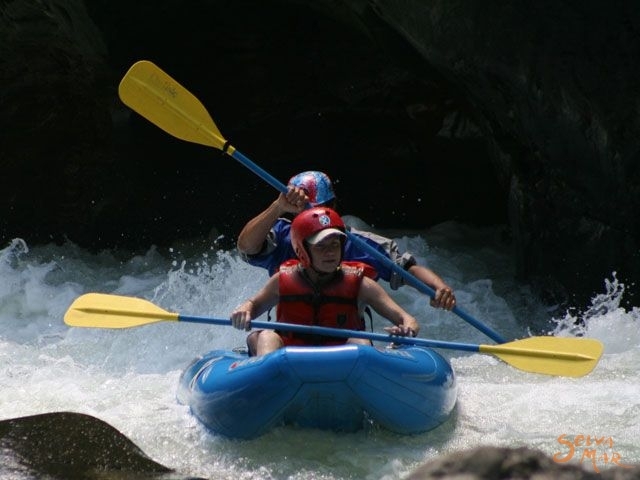 Before getting into the river, our guides give an important safety talk, familiarizing rafters with the necessary commands and safety instructions that you will need on the river. After practicing all the commands and drills you will start rafting the river. 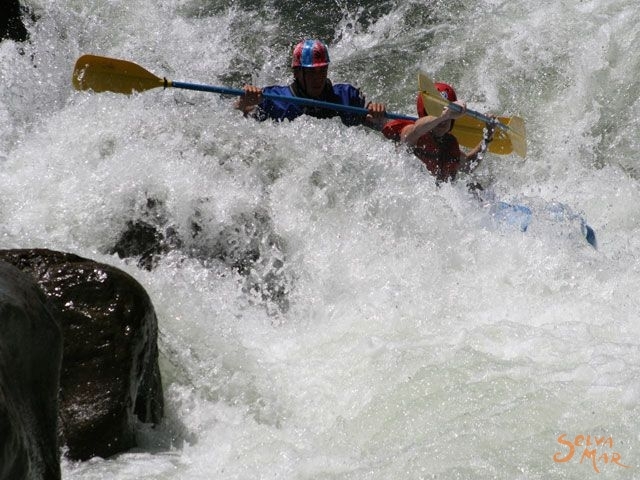 Shortly after entering, the excitement kicks up a notch as you enter the first rapid, "Iniciacin". You will quickly understand why some of the rapids have been labeled their specific names such as Huacas, Dos Monta as, El Indio and Cimarrones. As well as enjoying the thrill of the rapids, we also stop along to way to hike up waterfalls located in hidden canyons and to better enjoy some of the wildlife that we see along the way. Halfway through the first day you will reach our campsite which is located on a hillside in a bend of the river so you have a tremendous view of the Pacuare and the surrounding mountains. Upon arrival our guides prepare a delicious lunch and afterwards you can lounge around the camp, enjoying the cool breezes and fantastic views or you can choose to continue your day of adventures and explore some of the different hidden spots located upriver which are perfect for swimming and relaxing. Before dinner we all get together in our spacious Palenque for "happy hour" where you and your companions can relax, and share some stories of the days adventures while sipping refreshing drinks. In the evening the guides prepare and serve a delicious dinner that is all by candlelight. When you are ready for bed, you will comfortably sleep in our special bungalows which are spacious tents on wooden platforms with two beds each and a unique view of the Pacuare River. In the morning you will wake up with the joyful singing of a variety of birds around the campsite. After breakfast, you can choose to rest and hangout at the camp or hike to the indigenous reserve of Nairi Aguari with one of the guides. There the community of indigenous people will welcome you into their homes and village as they are happy to meet and talk with new people. They also have the specific trade of wood carving so you can look at the amazing work that they do and if you are interested, you have the opportunity to purchase wooden masks from them. 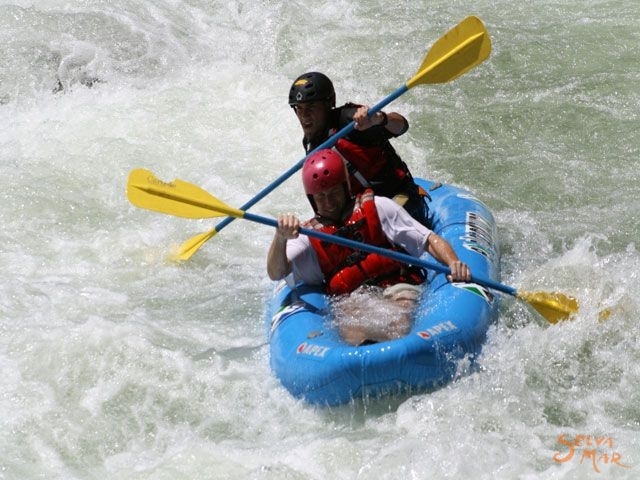 Once you are back in the camp after the hike you will eat lunch and then we continue rafting down the river enjoying what the second half of the river has to offer: many more exciting rapids and lush views. The trip ends at the bridge in the town of Siquirres. After exiting the river and leaving your equipment, the guides lead you to a small house where will find changing rooms and showers. There you can clean up and enjoy a nice cool beverage as the perfect end to your two-day adventure on the Rio Pacuare.